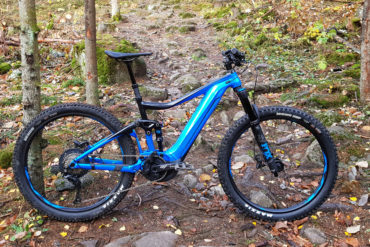 A long travel trail bike that's not only fast downhill, but also going up. 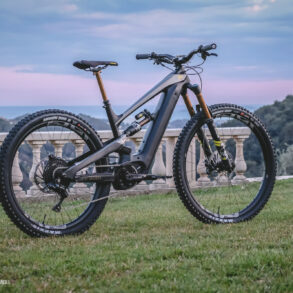 Devinci currently make two lines of ebikes, AC and DC. 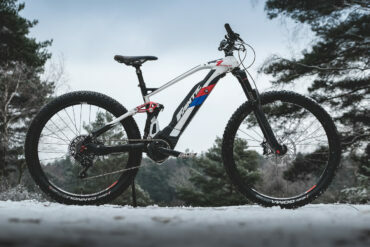 This is the AC nx/gx, the longer travel version with a 180mm fork and 170mm rear travel. 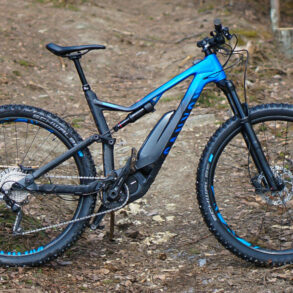 It’s got a 500Wh battery and the Shimano Steps E8000 motor. Nx/gx means you get an Sram NX shifter and GX rear derailleur. It’s a well funtioning low cost setup that will satisfy most people. 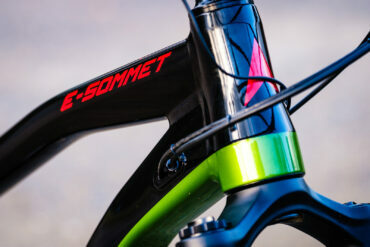 If the drivetrain don’t impress you much then have a look at the suspension. 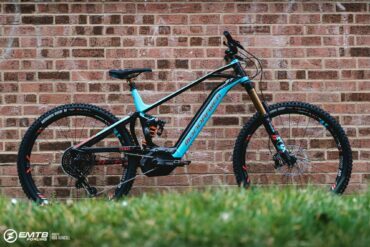 The Fox Float Performance Elite 36 Evol is a great fork and probably the most sensible option in the Float lineup. It’s solid, functional and has a decent ammount of adjustment knobs. The shock is the top of the line Fox DHX2 Factory with a lightweight steel coil. I haven’t used the Sram Guide RE brakes before. They didn’t bother me and performed well during this one test ride, brake force was good and consistent. 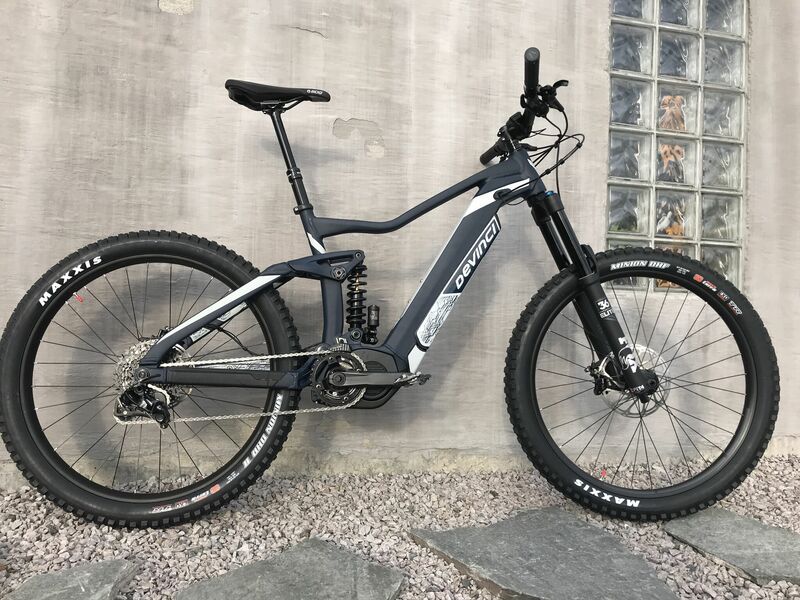 The Maxxis Minion 27,5×2,8″ tyres are often found on ebikes these days, allthough long travel bikes such as this one seems to be moving towards the narrower 2,6″ tyres. The 2,8″ did a good job on the natural trails we rode. 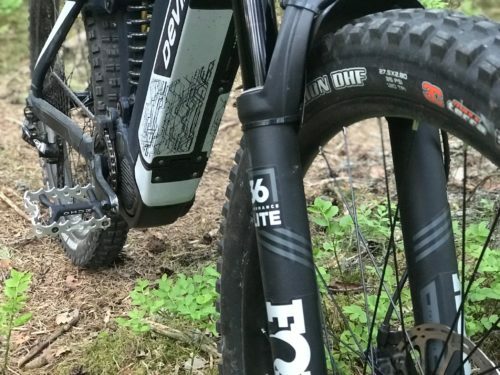 Downhill bikes tend to have coil shocks, this is the first time I’ve encountered one on a trail bike. And that was a pleasant experience. Adjusting spring tension was quick and easy. And the reward was a very active rear suspension. It reacted to every little bump while providing lots of support on bigger hits. 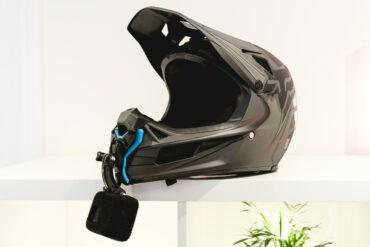 The heavy shock is partly to blame for the relatively high bike weight. Also the down tube integrated battery adds a bit of weight. 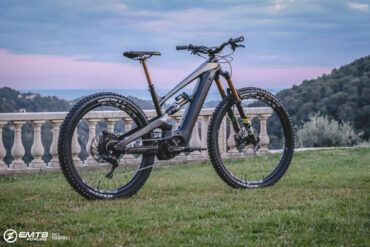 But it’s okay, I understand that a 170-180mm travel bike is made for the descents and that it’s specced with heavier and more solid components. The test ride wasn’t all downhill though, it was an even mix of flat, up and down. The bike did the climbs surprisinly well, it performed like any other shorter travel emtb. I didn’t really notice the extra weight, possibly thanks to the active rear suspension. On the flatter single trails we came across a lengthy section of tight turns. And this is where I was punished for riding a pretty slack, long travel bike. You feel the weight of the bike when you’re constantly moving it from side to side to negotiate the rapidly approaching turns. 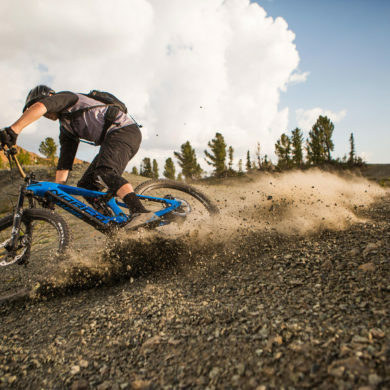 This is the kind of terrain where you want to use a trail bike with less travel and possibly steeper geometry. The Devinci AC handled it reasonably well though, all things considered. The longest descent was saved for last, and this is what the AC was made for. The descent was pretty steep, and the bike offered a nice mix of confidence in the fast turns and playfulness on the jumps and ledges. It was shining as the speed increased, just like a long travel trail bike is supposed to do. That doesn’t mean it’s dull at lower speeds. On steep climps it’ll keep up with most emtbs. This was a first impression formed by a single ride. I need to spend more time fiddling with seat position and suspension knobs to know what the bike is truly like. I guess I can’t do a review without commenting on the frame geometry. 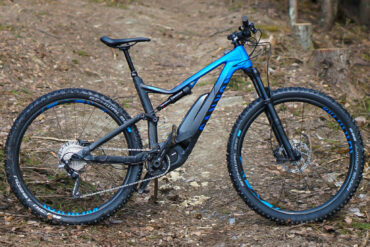 A head angle of 65,5* is pretty for an allround trail bike, but it’s pretty standard for a downhill oriented bike. It seems a sensible choice. 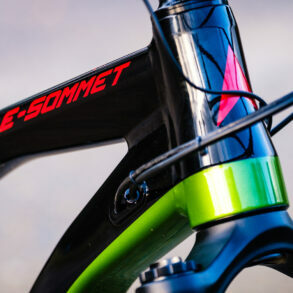 450mm chainstay length is considered normal on an emtb these days. It’s a decent compromise between support going uphill and playfulness going down. I rode the bike both in size M and L. My immediate reaction was that picking a frame size is difficult. At least if you are like me, between sizes. At 181cm (5’11) I’ve decided that Medium usually is the best size for me, so I was expecting to prefer the Medium AC. But I didn’t. After this one test ride I’m thinking the Large AC is also a good size for me. One can read a lot from a geometry table, and assume a lot, but demoing the bike really is necessary. A well specc'ed and burly bike. 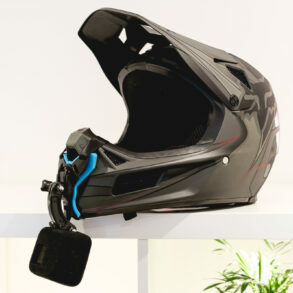 It's got solid components at the cost of weight. 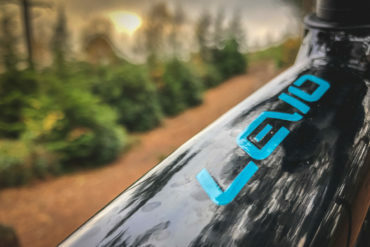 The Devinci NX/GX is a very capable descender, and it's a surprisingly good climber.